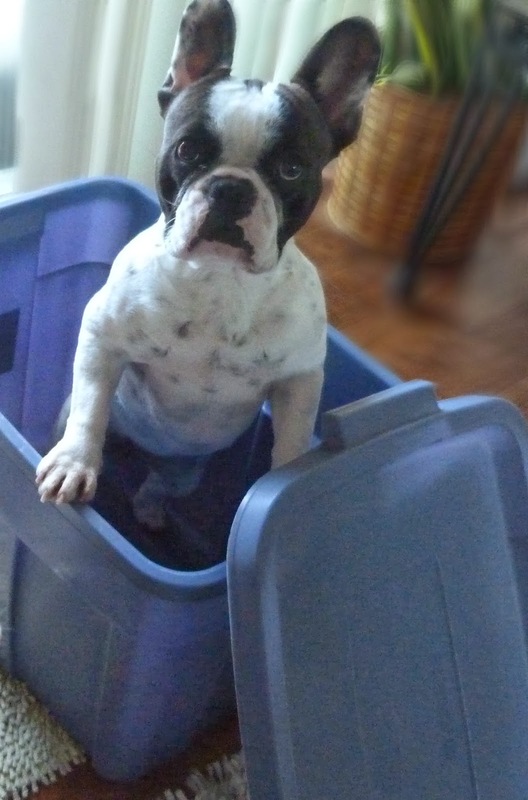 I am participating in my friend Garth Riley's doggy in a box day. What do you mean free shipping! You would make a fantastic surprise pressie for anyone! LILY you SILLY... you are a French Bulldog.... not a "BOXer". Just sayin. I don't think your mama will send you ANYWHERE! Ha ha, you are acting like my cats! Here kitty, kitty! You look funny in the box. Your mama wouldn't REALLY send you anywhere, would she? SHE nearly spat out her cappuccino at that last photo and caption! Bwahaahaa! Boxes make the best toys! I'd like to place an order please! Free shipping!?!? Ship yourself here, Lily!!! You would make the bestest to receive package ever, Lily! Oh Lily, jump and run like krazy! Look not go the Carton to the Post. Yikes! Get out of there before they mail you away! Where do we order? BOL! Tell your mama to ship you to me!! BOL that last one is so funny! Boxes are the best! You look awesome in your box Lily! You are SO cute. And that caption is hysterical! You look so cute in your box- it fits you perfect! Pawsome Lily. We did one too but we had to box clever excuse the pun as we could not find a box big enough. Have a super Saturday. We hope that you are being shipped to our house, Lily! Oh wait - didn't you say that you were a witch too! We will get along famously! Are you taking a trip Lily???? You wear a box well Lily. I used to have a kitteh who loved to play in boxes. Chico just likes to pee on them. BOL...you are very cute Lily!! Mama tried to get us in a box but we thought it was WAY too scary! !